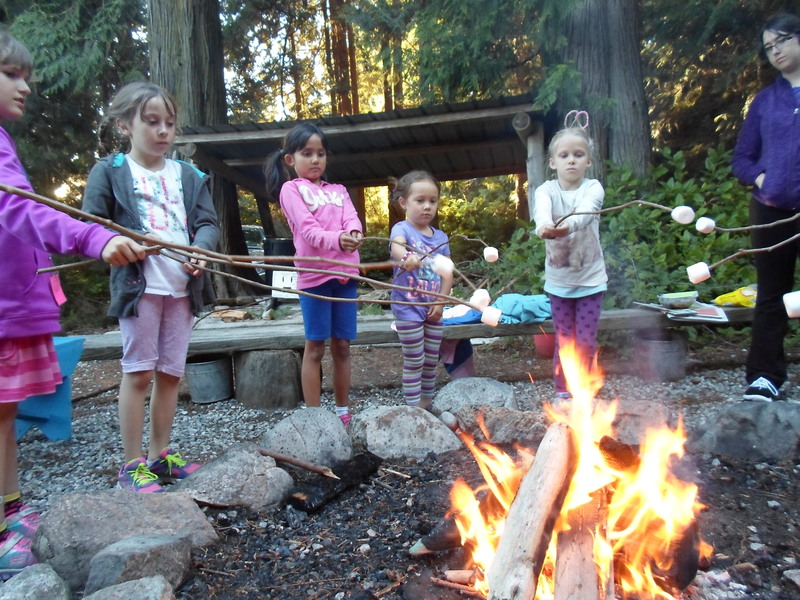 It wouldn’t be Girl Guides without camping! Most of the units in Burnaby Mountain went camping one way or another in the month of June. Unfortunately (or fortunately?) most of them were too busy having fun to spend much time snapping pictures. 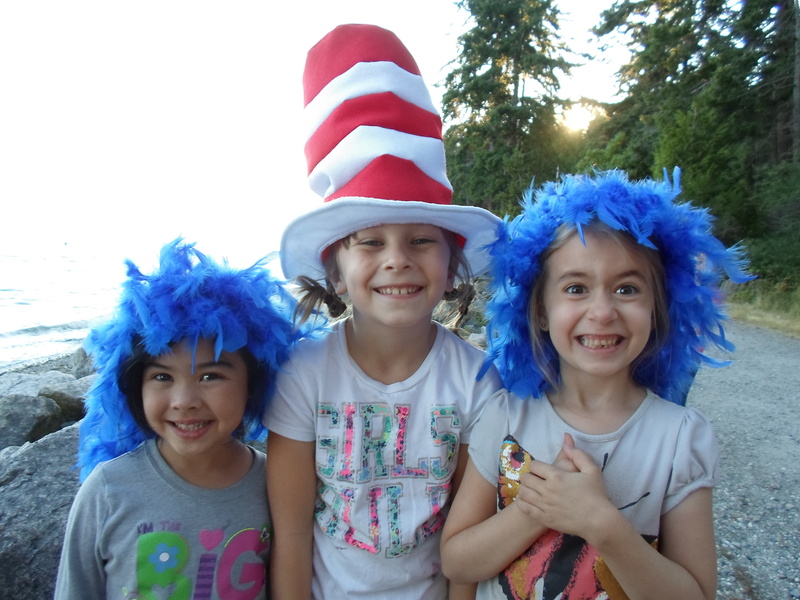 We were lucky enough to get some shots of the fun-loving 1st Sparks from their awesome Dr. Seuss themed camp at Camp Olave. The Sparks had a great time reading stories, doing crafts, eating Seuss-themed food (green eggs and ham, anyone? 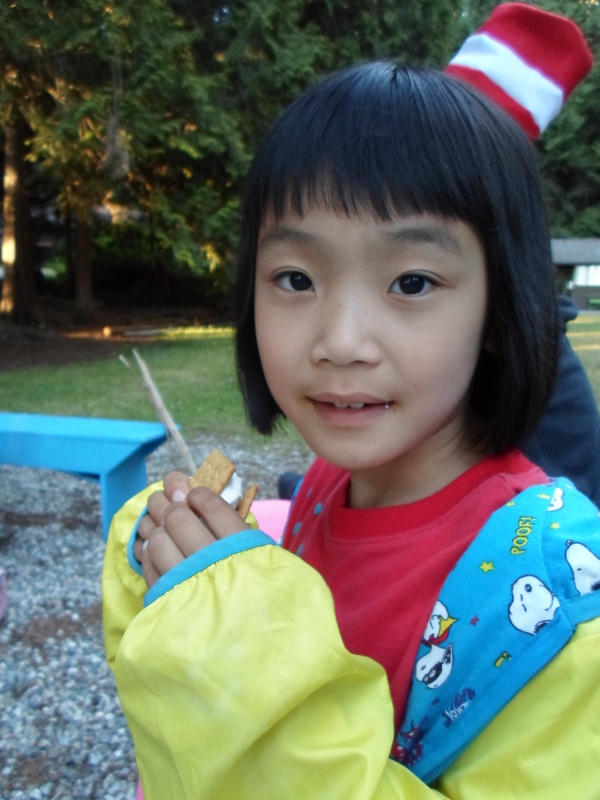 ), and doing all the other awesome camp activities like swimming, nature walks, and s’mores. 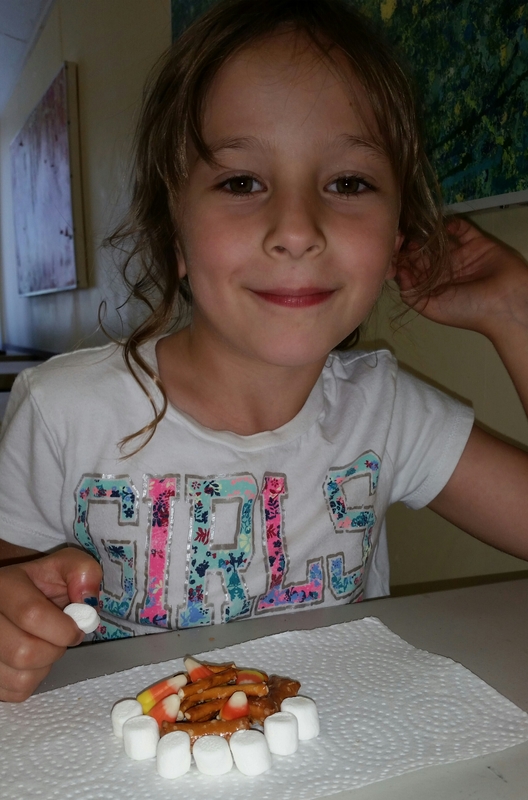 In one activity, girls learned the foundations of building a good campfire by using edible materials — this girl was so proud of hers we needed to take a picture of it before she could eat the pieces! 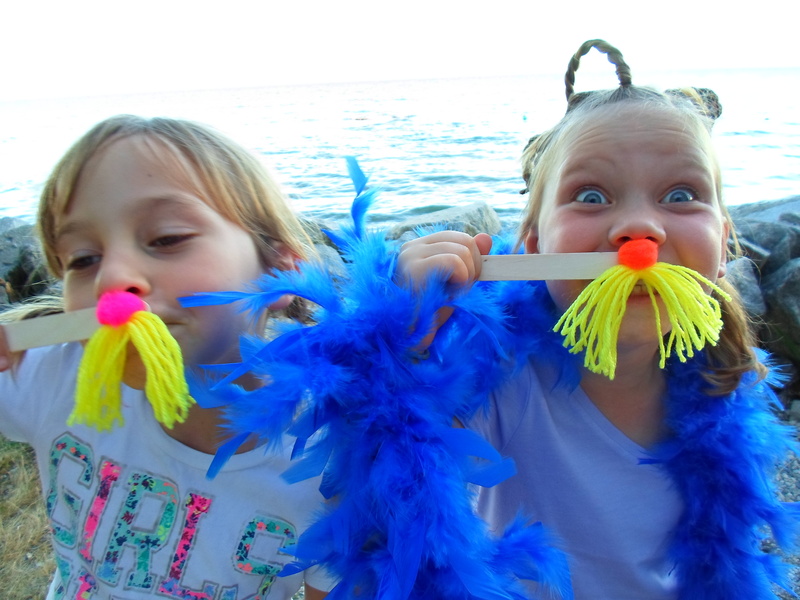 The girls hammed up for the camera at their Dr. Seuss seaside photo booth with fun props and Who Hair Dos. 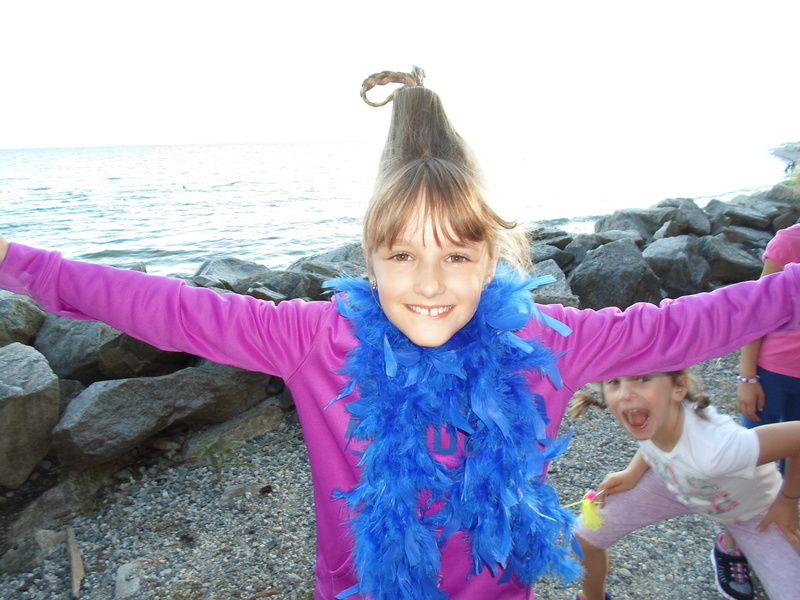 Some of their favourite characters were Thing 1 and Thing 2 as well as The Lorax. They also had a great time singing their campfire songs and making (and eating!) their s’mores. At the end of the day, camp is mostly about the food, right? For many of these Sparks it was their first time doing a two night camp. The girls were very resilient and dealt with some challenges including late ferries that added a little bit of stress to the beginning of camp. But none of that slowed them down. 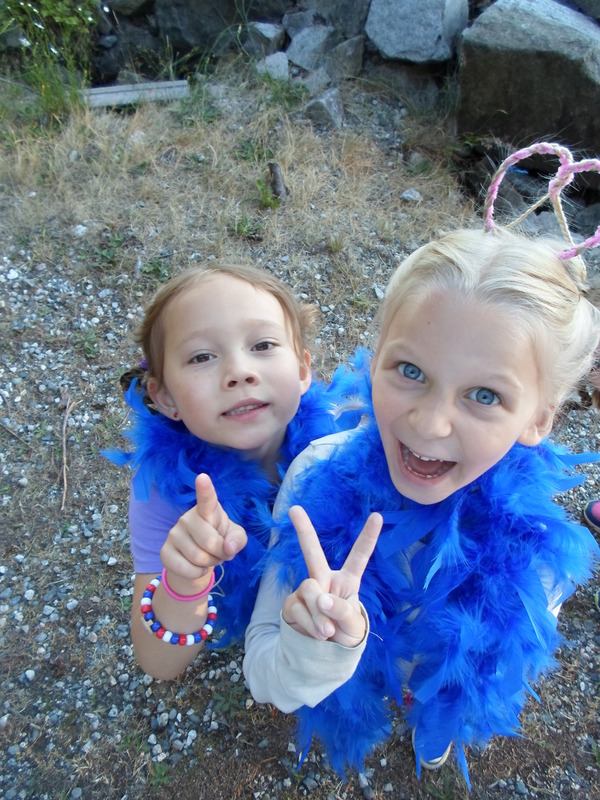 The girls had a great time at Camp Olave and look forward to going back next year! Girl Guides LOVE earning badges. Recently the girls in the 22nd Guides had a badge testing night where they got to show off their hard work on interest badges as part of Girl Guides of Canada programming. 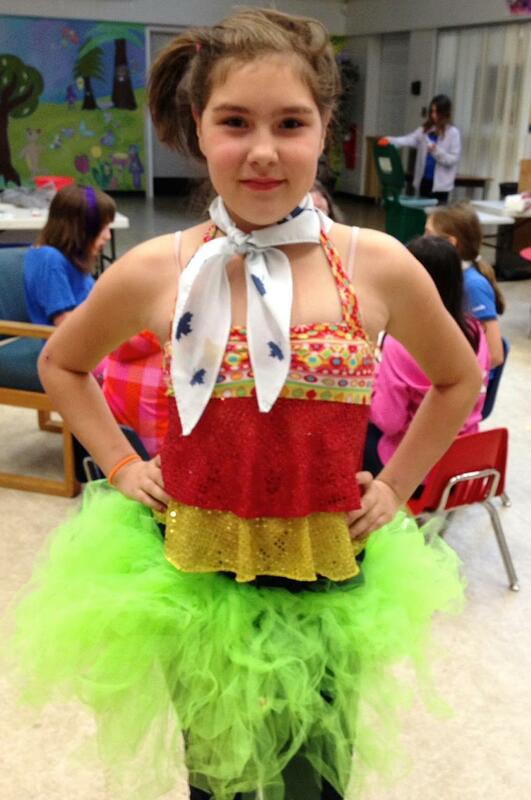 Interest badges are a great way for girls to explore their interests, try new things, learn new skills, and have fun. At badge testing, girls are responsible for showing leaders what they have done to satisfy the requirements of the badges. Here are some of the girls during their testing. 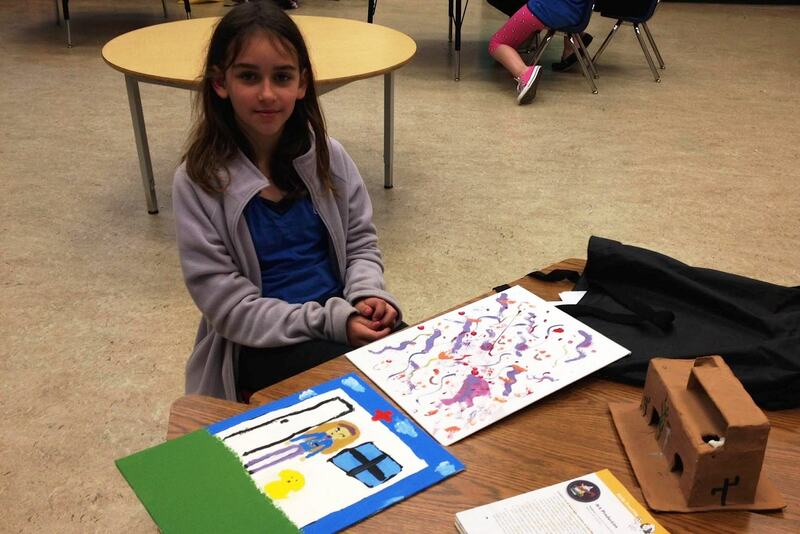 These two girls demonstrated different kinds of artistic skills for the Art Production badge. These two baked up some delicous snacks for the Tasty Treats badge. 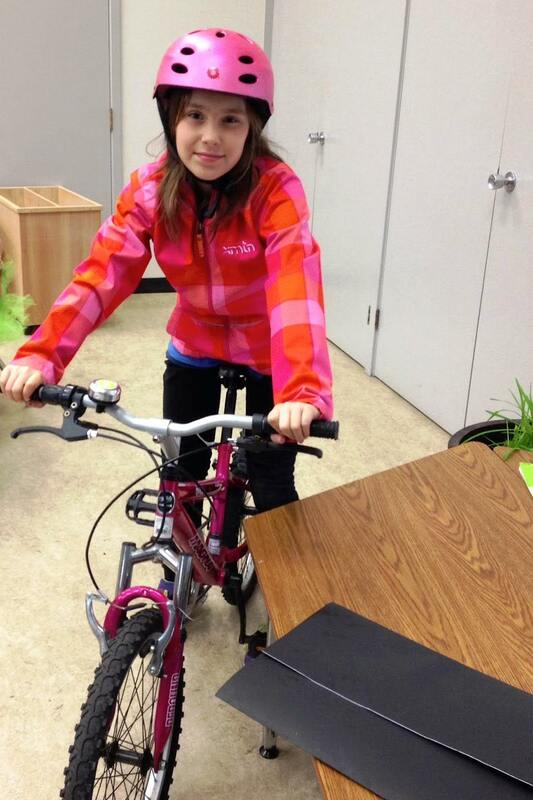 This girl earned her Cycling badge. And this girl presented her Event Planning badge. The unit would like to thank District Commissioner Gerry for coming to the meeting to help with badge testing. All the girls had a great time earning their badges and presenting their work. 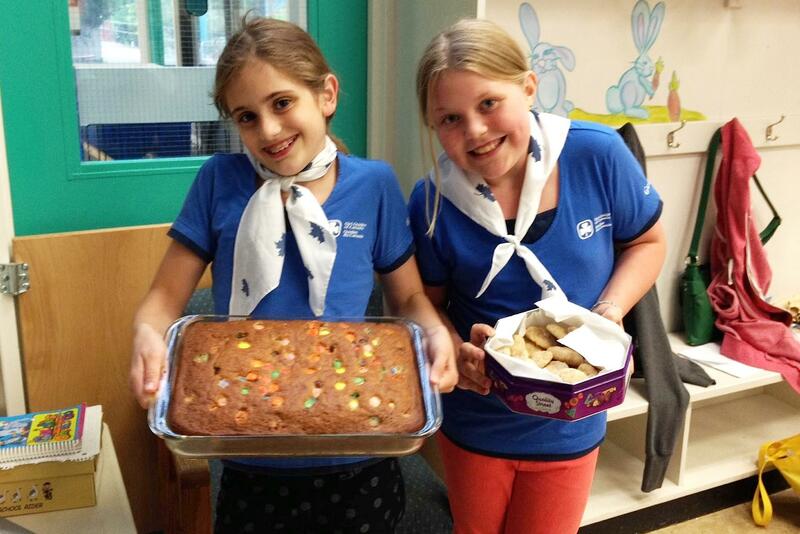 Another great example of the cool personal development opportunties in Girl Guides of Canada!